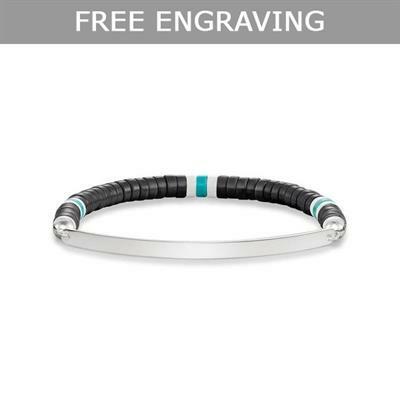 This striking bracelet by Thomas Sabo is part of the engravable Love Bridge collection, and is made from Obsidian, White Agate, turquoise and 925 Sterling Silver. This beaded bracelet radiates effortless festival chic, and the engravable bridge makes this the perfect personal gift with a boho twist. This bracelet is 16cm in length.